“These experiments were successful largely because of improved modeling techniques developed jointly by NOAA’s Geophysical Fluid Dynamics Laboratory, Environmental Modeling Center, and other researchers,” Mayfield says. Such modeling was made possible by vast improvements in the computational speed and memory capacity of supercomputers. As late as the 1990’s, computer models took so long to develop that forecasts were being produced hours or even days after they were needed; the storms simply moved faster than the computers could calculate their likely paths. In order to speed up the process, scientists were often forced to eliminate many important equations, which resulted in significant errors and severely degraded model forecasts. Here’s how the NHC keeps boaters and other concerned citizens apprised of an impending storm. First, a bit of background on the kind of severe weather that NHC forecasts. Hurricanes, tropical storms, and tropical depressions all fall under the heading of a tropical cyclone and are essentially categories of the cyclone’s intensity as measured by the one-minute mean-surface wind speed. A tropical cyclone is defined by NHC as a wide, warm-core, nonfrontal low-pressure system that develops over tropical or subtropical waters and has an organized surface counterclockwise circulation. Depressions contain winds of up to 34 knots and typically develop from an easterly tropical trough (a tropical low) that gathers enough convection to exceed the threshold wind speed. Once winds reach 35 knots, the depression is upgraded to a tropical storm and given a name to simplify communication to the public. A tropical storm becomes a hurricane when winds exceed 63 knots (72.4 mph). 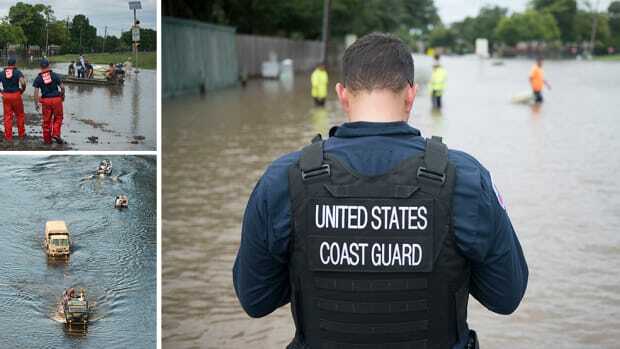 Hurricanes are further categorized according to wind speeds using the Saffir-Simpson Hurricane Scale, which ranks them according to strength from one to five. 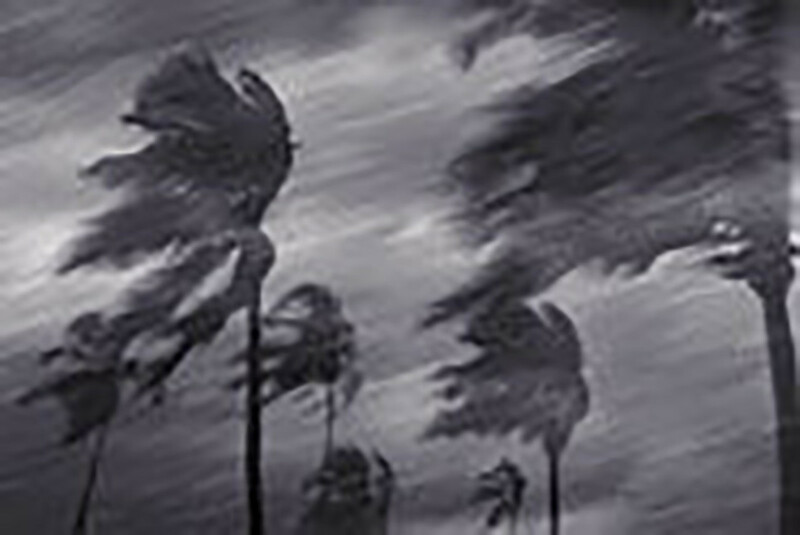 The wind speeds of Category One storms typically range from 64 to 82 knots (74 to 95 mph), while Category Five hurricanes pack winds of 135 knots (156 mph) and higher. 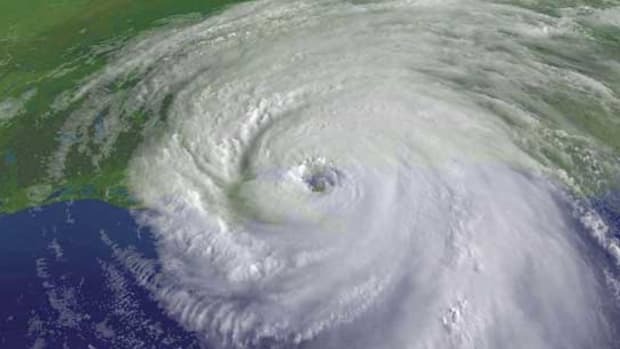 Hurricanes vary widely in size, and they can easily span 300 NM in diameter. Inside NHC’s headquarters—a two-story, heavily fortified, above-ground concrete bunker designed to withstand the worst hurricane—forecasters constantly review current observations from weather and military satellites, aircraft reconnaissance, Doppler radars, coastal meteorological stations, and other sources for any signs of trouble. In analyzing all these data sources, scientists watch for the six conditions that are necessary for a hurricane to form: a pre-existing surface disturbance with thunderstorms near the core, warm ocean water temperature (at least 79ºF), a moist middle troposphere, light winds aloft, an upper-level outflow, and a location of 5º latitude or higher. A cyclone will continue to intensify until one or more of these conditions disappears or changes dramatically, at which point the storm will begin to diminish. However, the cyclone can reintensify rapidly if it moves into an area where all these ingredients are present. A hurricane’s movement and direction are determined mostly by environmental steering. Much like a leaf floating in a river, a hurricane is guided along its path by surrounding atmospheric currents, such as fronts, high- and low-pressure systems, and the jet stream. In their absence, the cyclone’s internal motion takes over. In this case, a cyclone can move about quite erratically and be difficult to predict. For mariners, the center’s cornerstone forecast is the Tropical Cyclone Advisory, issued when a new tropical cyclone has formed and updated every six hours subsequently for the life of the storm. A typical advisory includes: the cyclone’s name; pressure; location; present direction; maximum sustained winds; the 64-, 50-, and 34-knot wind radii within the system; and the forecasted position and intensity 12 to 120 hours into the future. 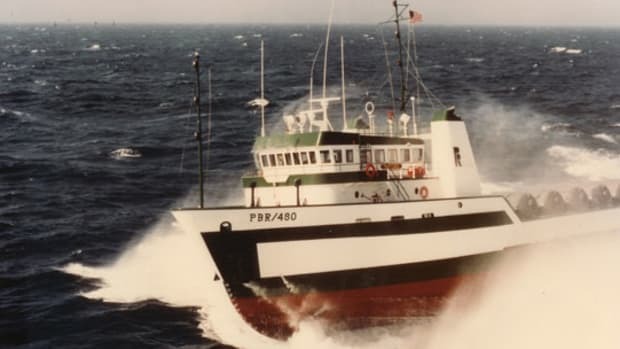 Vessels should avoid the storm’s 34-knot wind field, says Eric J. Holweg, an NHC meteorologist and author of the NOAA Mariner’s Guide for Hurricane Awareness in the North Atlantic Basin. At this speed sea state development approaches critical levels that rapidly decrease a boat’s maneuverability. Extending the34-knot forecasts by adding forecast error margins is a vital tool. 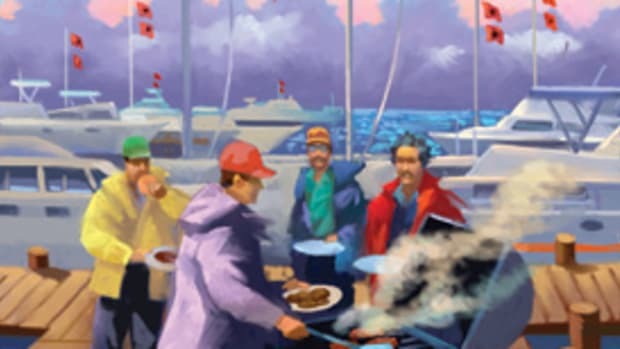 Known as the 1-2-3 Rule, it instructs mariners to chart the 34-knot area forecasted for the next 120 hours on a map, then adds 100 miles to the forecasted 34-knot radius in day one, 200 miles to that of day two, and so on. Connecting a line tangent to each circle results in a cone-shaped area that everyone should avoid. 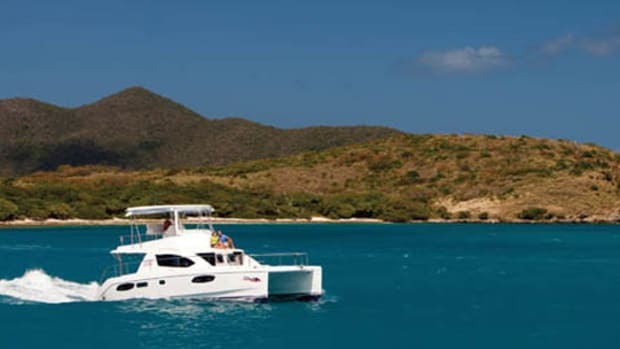 Never cross the projected track of a tropical cyclone, since high swells ahead of the storm and sudden changes in the cyclone’s speed can place your vessel in unexpectedly rough conditions. Moreover, Stacy Stewart, an NHC hurricane specialist, warns that intensity forecasting can still be off by at least one and possibly two Saffir-Simpson Hurricane Scale categories at day three and beyond. Duringhurricane season (May 1 through November 30), the NHC issues Tropical Weather Outlooks every six hours, which give a synopsis of all existing tropical disturbances and cyclones with a brief description for each, along with Tropical Cyclone Discussions and Tropical Cyclone Strike Probabilities, also issued every six hours. Tropical Weather Discussions, which provide an overview of convective activity and general weather features that might breed tropical cyclone development, are issued four times a day year-round. These reports can be accessed via weather radio, radiofax, e-mail, and NHC’s Web site (www.nhc.noaa.gov). When a tropical cyclone wanders into an area beyond the tropics—north of 31º north latitude—the NHC coordinates forecasts with the Camp Springs, Maryland-based Ocean Prediction Center, which issues marine warnings, forecasts, and guidance for these regions. Despite all the emphasis on forecasting, Stewart feels that it is only half the battle—getting the public to act is just as important. He relates the story of what he considers the most difficult forecast he ever had to make. In late April 1991 Tropical Cyclone 2B, a monster Category Five tropical cyclone, was meandering for two days in the Bay of Bengal. Despite fairly accurate forecasts, the powerful cyclone caught the residents of Bangladesh off guard with estimated winds of 160 mph and a storm surge of more than 20 feet. Some 138,000 people perished, and nearly 10 million were left homeless. It is thought the first use of a proper name for a tropical cyclone was by an Australian forecaster early in the 20th century, who named tropical cyclones after political figures whom he disliked. The practice caught on—although leaving politics out of it—and today most cyclones, except for those that form in the West Pacific or North Indian Oceans, are given proper names. www.nhc.noaa.gov/index.shtml. National Hurricane Center home page, which during hurricane season lists the Tropical Cyclone Advisories, discussions, and strike probabilities for all tropical cyclones. www.nhc.noaa.gov/HAW2/english/intro.shtml. Online tutorial about hurricanes and tropical storms. www.aoml.noaa.gov/hrd/weather_sub/faq.html. Frequently asked questions about hurricanes and cyclones. www.nhc.noaa.gov/forecast.shtml#tropdiscuss. Tropical weather discussions as well as other routine marine weather reports for waters south of 31º north. www.aoc.noaa.gov/index.html. Information about NOAA’s aircraft reconnaissance missions into hurricanes. www.nhc.noaa.gov/satellite.shtml. NOAA weather satellites imagery. www.mpc.ncep.noaa.gov. Ocean Prediction Center home page for marine reports north of 31º north. www.nhc.noaa.gov/aboutmodels.shtml. Advanced technical data about weather computer models. www.nws.noaa.gov/om/marine/home.htm. Comprehensive list of all marine products offered by NOAA. Strongest: From the best track database, both Hurricane Camille (1969) and Hurricane Allen (1980) had winds estimated at 190 mph. But measurements of such winds are inherently going to be suspect, as instruments often are completely destroyed or damaged at these speeds. Deadliest: The death toll in the infamous Bangladesh Cyclone of 1970 has had several estimates, some wildly speculative, but it seems certain that at least 300,000 people died from the associated storm tide in the low-lying deltas. 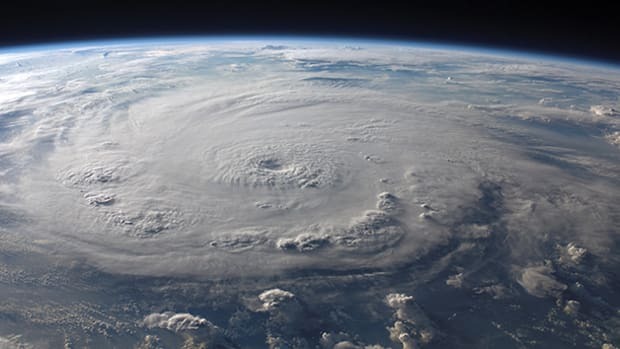 Costliest: The largest damage caused by a tropical cyclone as estimated by monetary amounts has been Hurricane Andrew (1992), as it struck the Bahamas, Florida, and Louisiana. Total damage: $26.5 billion. Lowest Pressure:Hurricane Gilbert’s 888-mb maximum low pressure (estimated from flight-level data) in mid-September 1988 is the most intense for the Atlantic basin. Highest Storm Surge: In 1899 the Bathurst Bay Hurricane produced a 42-foot surge in Bathurst Bay, Australia. Longest Lasting: Hurricane/Typhoon John lasted 31 days as it traveled both the Northeast and Northwest Pacific basins during August and September 1994.